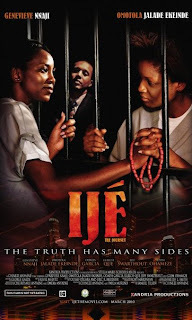 Welcome to Linda Ikeji's Blog: Nigeria's Best Movie of 2010 is...? Silverbird Cinemas says it's Anchor Baby. A lot of people think it's Ije. But which movie do you feel was the best of last year? Maybe it's neither..? I wonder if it counts that though Anchor baby was produced by a Nigerian, but it's actually not a Nigerian movie, in the sense that the producers, writers and actors/actresses don't even reside in Nigeria; that it should still be considered a Nigeria movie? which have u seen linda cuz i haven't seen any. u shud also tell us what u think. either way both movies are based on similar plots and i don't like the whole immigrant movies type so i dunno if i'll ever see both movies even if they have good actors in them. Neither of them. Sunday Dagboru is the best. I have not watched any of the films o. But from wetin I hear inside MOLUE one day like that, me think Sunday Dagboru na da best. And this is important because......? Lol @ definition of Nigerian movie... So movies shot entirely on location in other nations, with the bulk of the cast and crew being from other nations, but made for a US audience i.e Tears in the Sun (the naija bruce willis flick) should be considered foreign films? I didn't get to see Ije but Anchor Baby was really good. Anchor Baby - Better Story. Both very good movies. (I have watched them both). I saw them both...They were both good, very difficult to actually say which was better.But i'll have to settle wit IJE. I wouldnt say these are Nigeria's best movies but I will say they are Nigeria's overhyped movies. Are you saying in terms of sales they were the best? Maybe but not to diss the films.... in reality< i didnt really like IJE cos it portrayed Nigeria and women in a bad light... Nigeria a land of savages and rapists and women objects to be raped> it didnt celebrate anythg about Nigeria or Africa. i think it was just becoz Genevieve and Omotola were inside that on the big screen that people liked it so much. sure lighting was good< picture quality great but that was it really> But it was a good effort. 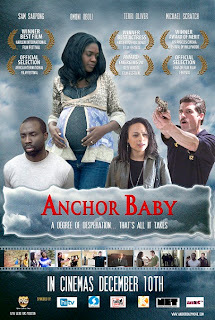 As for Anchor Baby it was shot entirely in America... what makes it a Nigerian movie? Becoz Omoni and the producer where Nigerian? Like I said. I think they were the most overhyped movies of 2010. The Figurine still remains the best truly African movie for me. They spoke in Yoruba, all the cast and esp crew were all Nigerians... but then maybe it shot in 2009, right? I would still bring it forward and say The Figurine.heh heh! these movies were over-hyped. point of correction though, Anchor Baby was filmed in Canada but the storyline was based in the US. but i've seen a lot of our regular nollywood movies (filmed in nigeria, on location, possibly low budget, filmed in 10 days etc...) that have better stories and good acting as well. those few could give ije and anchor baby a run for their money. anyway sha, ive talked too much on this one. lol ON TO THE NEXT. Anon 5.30 You are very correct! If the truth be told, IJE and Anchor Baby were over hyped! I prefer Nollywood-shot-in-7days-released-the next-week' kinda movies anyday! LMAO! Now we know! Hype sells movies! Not because they are necessarily the best films! I still prefer Idumota and Asaba made films... this New cinema needs getting used to! if silver bird says so, then it is, since they her in entertainment.